On April 16, 2019, DJJ hosted its Annual Volunteer Banquet to honor those who give selflessly of their time and energy to serve our youth. 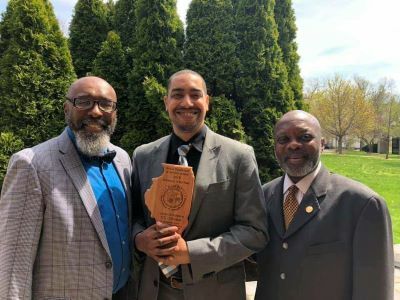 This year's DJJ Volunteer of the Year is Jason Boulware, who volunteers at IYC Chicago. Jason is a professor at the School of the Art Institute of Chicago and has built a partnership for his students to work with youth at IYC Chicago. This includes a semester-long class where youth write, direct, act in, shoot, and edit short films. Additionally, Jason has developed a course for DJJ youth to learn photography. Jason cares about all his students, including DJJ youth, and invests in them as a teacher and mentor. Congratulations, Jason! 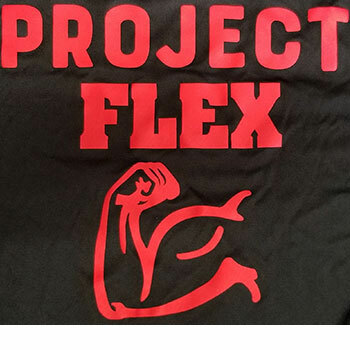 In the six months since Project FLEX began delivering physical education and leadership training to young men incarcerated in the Illinois Youth Center of St. Charles, many eyes have been opened. Jenn Jacobs and Zach Wahl-Alexander, professors in the NIU Department of Kinesiology and Physical Education who deliver that programming with graduate student Tim Mack, certainly count themselves in that group. They also include dozens of young men they’ve encountered at the facility, where such an extracurricular activity is a privilege for the earning. As many as 70 already have participated, and between 10 and 20 are on the waiting list at any given time, hoping for their chance. IYC Harrisburg participated in a fundraiser to benefit St. Jude Children's Hospital. Z100 Radio Station sponsored the "Quest for a Million Pennies" for Southern Illinois public schools and Booker T. Washington Alternative School at IYC Harrisburg took part in this worthy cause. As always, the employees of IYC Harrisburg stepped up to the plate. Our penny drive and the "Souper" fundraiser through the Lake Land Community College Culinary Arts program raised $858! 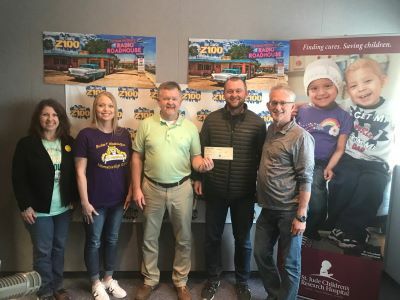 Z100 and St. Jude Children's Hospital expressed their heartfelt gratitude toward our facility to help fight childhood cancer. ​On February 27th, the youth celebrated Black History month by gathering information and presenting on their African American heroes past and present, including Frederick Douglass, Spike Lee, Jesse Owens, Eric Holder, Michael Jordan, Bob Marley, Martin Luther King, Jr., Thurgood Marshall, and Muhammed Ali. The youth worked hard on the projects, and took pride in their work. This effort was initiated and reinforced by The Education Department, under the leadership of Principal Houston, who encouraged the youth to complete the projects and to take pride in their work. The youth demonstrated Ms. Houston’s favorite phrase, which is “Hard work pays off."